Flexible Variable is an another new product type that we came up with . It is similar to variable product type but it has quiet different feature when compare to variable product type. Like variable product type, it also lets you define variations of a product where each variant may have a different attributes, e.g. SKU, price and stock level. The only different is that this product type does not generate variants automatically. The variant has to be generated manually by clicking on Add variant button. So that store owner could remove / delete the variant that has zero stock available and add variant once it is available. Since adding / removing a single variant will be possible with this product type, it will be more easy for you manage variants which are out of stock. 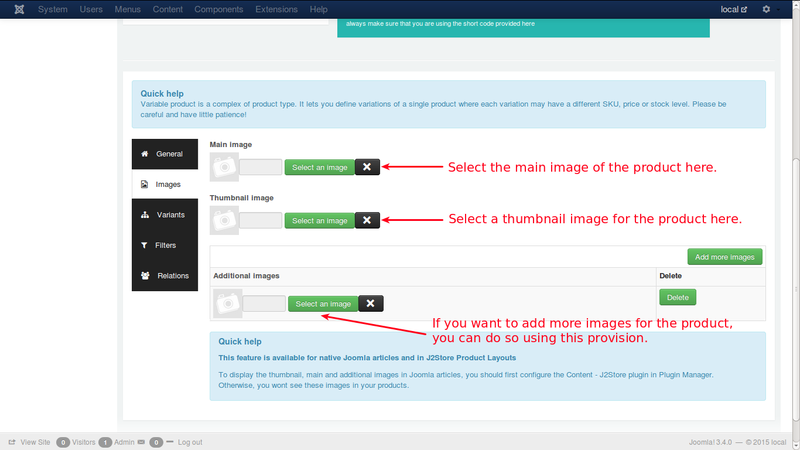 To display the thumbnail, main and additional images in Joomla articles, you should first configure the Content - J2Store plugin in Plugin Manager. Otherwise, you wont see these images in your products. Additional Images - Additional images help the customer to know more details about the car, which will be showing the car view in many angles, and the customer will understand it clearly how it looks like, what the technical details of the car, the color, and so on. NOTE: For the images set for the variants to appear on the frontend, the main image and thumbnail image has to be set. Only then when the variants are chosen on the frontend their corresponding images would come up. For both the items, brand name may be same, but the attributes like color, price and SKU differs. These are two variants of a particular Tshirt brand. Select size option from the dropdown list and then click on Add option. The size will be added as variant option. And then choose the color option and add it to the variant options list in same way. 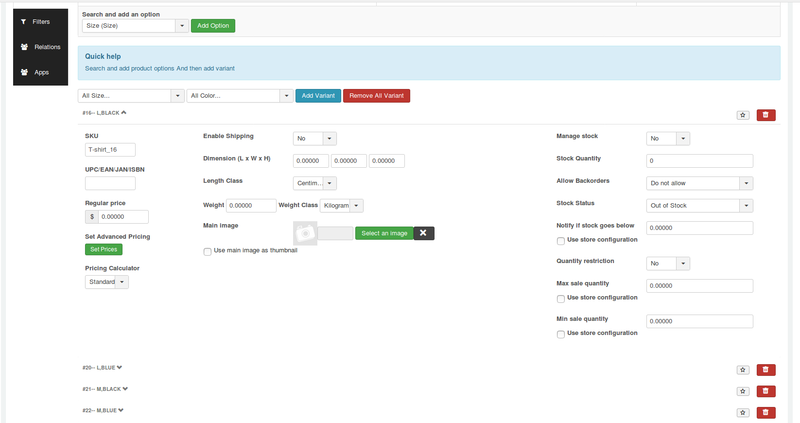 Now you will get options to add variants to the product. Choose size from the drop down "All size" and then choose the color and click on Add variant button. For example, select L from size and select Black from color and click on Add variant button.Likewise, add all the variants you wants. If any one of your variants comes out of stock and you wants to hide that variant displaying in front end, you could do so by clicking on delete icon. 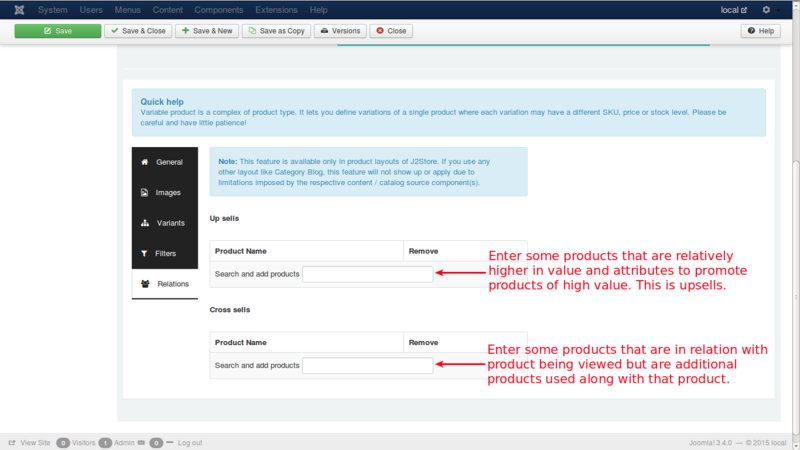 Below is the screenshot of how flexivariable product shows in site's frontend. Now the cart will display only the Black t-shirts.